Websites Like helps you find similar, related or alternative websites. It comes in handy whenever you’re looking for alternatives for a website. We do this better than any other website on the world wide web. 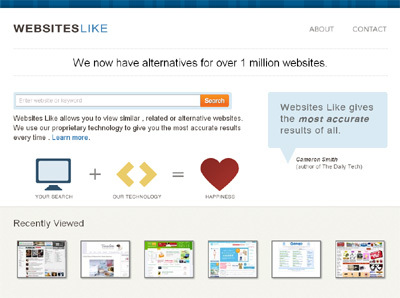 Websites Like has by far the largest index of alternative websites publicly available. It has the freshest data of its kind with an index that updates several times a day.